Welcome to Bourbon Country! Kentucky has spent the last 200 years preparing for your visit. See how we celebrate America’s only native spirit in its birthplace. Though bourbon can be produced anywhere in the United States, the majority of the world’s favorite brands are still being made in Kentucky much the same way they have always been. We invite you to travel throughout Bourbon Country to take in the many sites and attractions that toast our signature export. You will discover heritage sites, working distillery tours, tasting rooms, a whisky museum, cooperages, world-class bourbon bars and restaurants, whiskey shops with hard to find bourbons, bourbon chocolate shops and hotels with bourbon themes – all where you will enjoy the finest in unrivaled Kentucky hospitality. 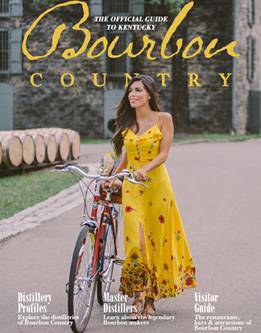 There is much to do and see in Bourbon Country. You can get a taste over a long weekend, but we encourage you to take your time, sip and savor the experience, most of all responsibly. Let us be your guide to this special place and make it your home away from home. Cheers!